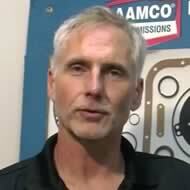 AAMCO South Tampa, FL offers complete maintenance and repair services for your recreational vehicle. AAMCO South Tampa, FL is a full-service repair center for cars, light and heavy duty trucks, RVs and trailers. AAMCO has the expertise and offers everything from inspections and oil changes to brakes, suspension, heating and air-conditioning service to complete transmission and engine rebuilding. The certified technicians at AAMCO South Tampa, FL will diagnose your vehicle right and make recommendations for whatever service is necessary. It is our comprehensive diagnostic approach that sets AAMCO apart, so that you only get the repairs you need and your vehicle is back on the road as soon as possible. Give our experts a call and we will be happy to service your truck or RV.